When we decided to launch a Women initiative last year, we strongly kept in mind the story that lies beneath Codemotion, which has been founded by two women passionate about technology, who everyday had to face the lack of female participation in IT: easy to figure out how deep in our DNA the gender gap problem be carved! This year we want to do a step forward toward an even more inclusive tech Conference: the Women initiative change and become Diversity initiative! We wish to support members of underrepresented groups who may not otherwise have the opportunity to attend our conference for financial, social or any other reasons. This includes (but is not limited to): people of colour, LGBTQIA+ people, women and disabled people. 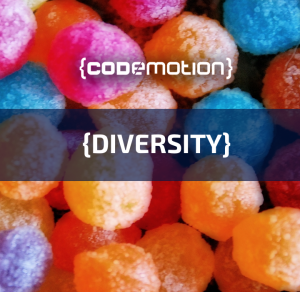 Our goal for this year is to provide 50 free tickets to boost the Diversity at Codemotion! The initiative is also opened to deserving individuals who are not able to finance a ticket to the conference. 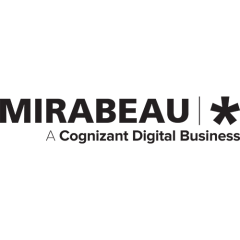 The Codemotion Diversity initiative helps emphasize our goal of fostering a technology community that accepts and promotes diversity. If you are eligible to apply, please join our waiting list and write us to explain why you want attend to Codemotion!